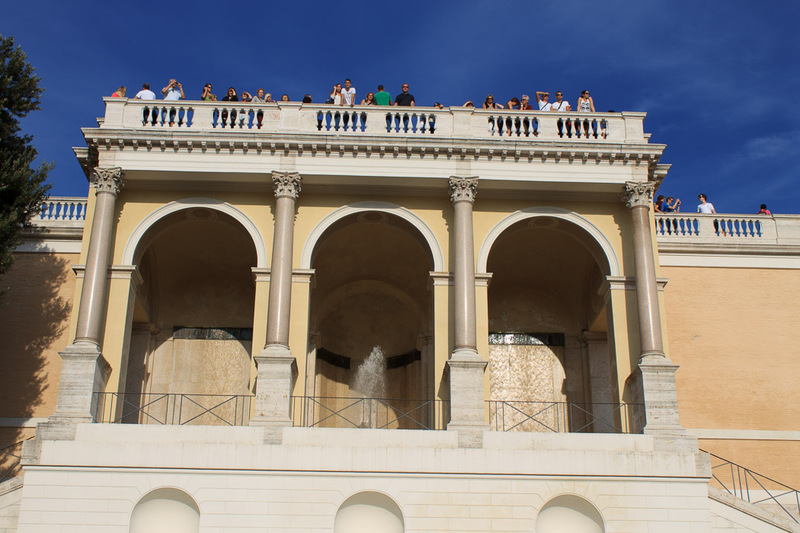 In 1936 the Aqua Virgo was lengthened with an extension which reached the base of the Pincian Hill, so according to custom, a monumental fountain was built to mark the end of the aqueduct. 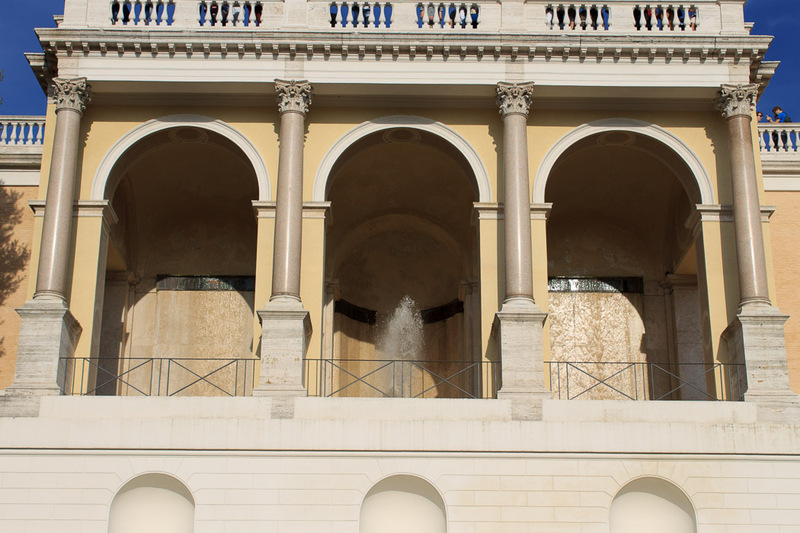 The Fountain of the Great Niche consists of three large niches whose pillars support the balcony that overlooks Piazza del Popolo. 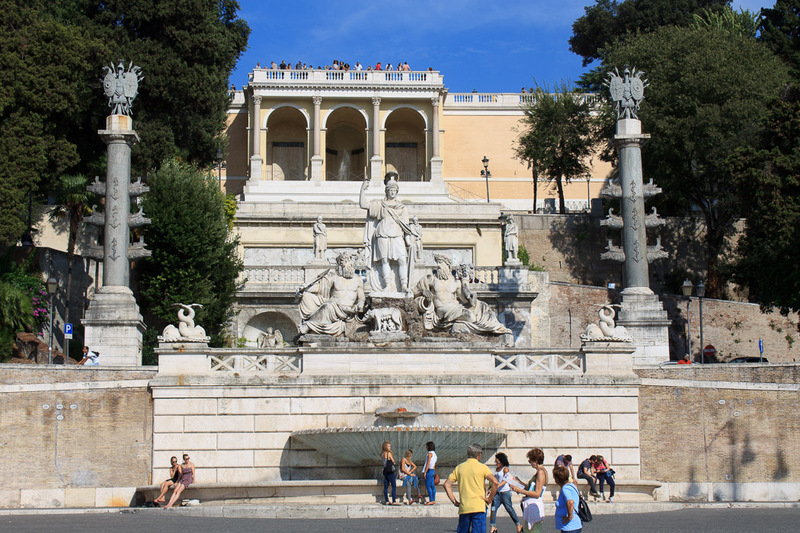 This is the vantage point which the steps behind the fountain of Rome Between the Tiber and the Aniene lead to. In the central arch the water gushes from below, while in the two side arches it trickles down the wall at the back from an upper rectangular basin. In the lower part of the structure are three smaller niches, each with its own round basin. Its Neoclassic style matches that of a number of statues found along the Pincian Hill's ramp, which had been arranged in the early 1800s by architect Valadier. This fountain should not be mistaken with the one bearing the same name, yet rather different in shape, located on Via dei Fori Imperiali. See all Fountain of the Great Niche photos.